I’ve always love cheese filled tortellini and ravioli. Whenever we go out to dinner at an Italian restaurant I always order tortellini or ravioli. Bonus points if it also has mushrooms. OOOHHH mushrooms would be a delicious addition to this meal! 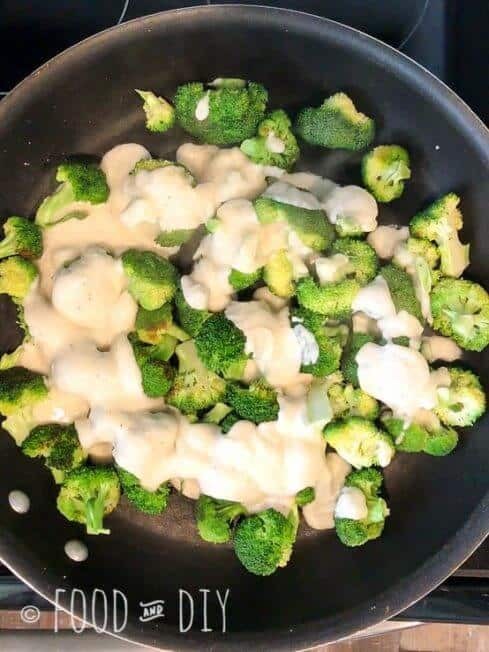 Anyway, my daughter adores alfredo sauce, after being forced by a friend to eat it at a church dinner once, and she also loves broccoli. 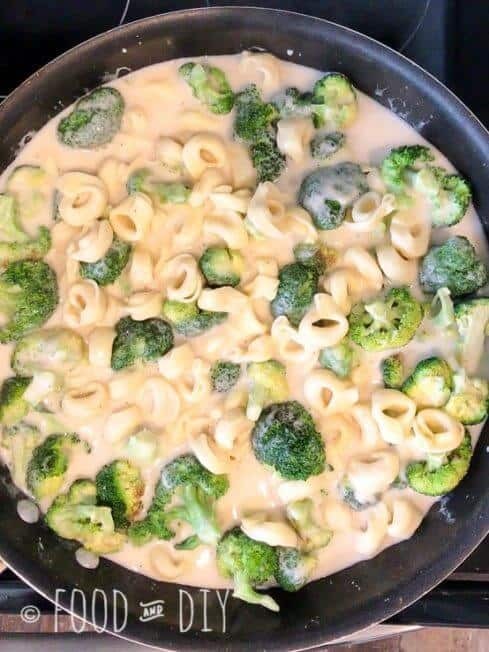 She keeps asking me when I’m going to make this Broccoli Tortellini Alfredo for dinner again, and she gets upset when I make it and eat all the leftovers for lunch when she’s in school. 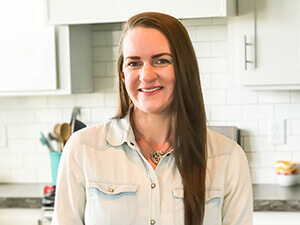 In an effort to stretch our grocery budget and to also get our protein from somewhere other than meat, I’ve been trying out meatless meals. I’m so glad my family liked this one. Chop up some fresh broccoli florets. I’m not sure how many lbs I used but this was 3-4 medium stalks. 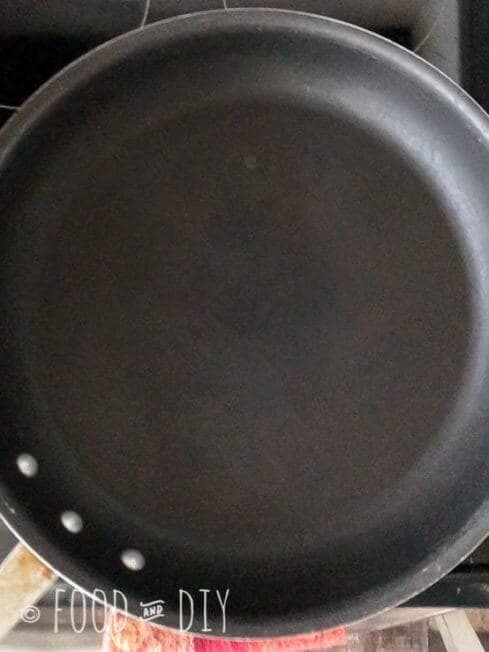 Heat a large skillet (mine is a 14 inch, non-stick). Heat about 1 tbsp olive oil, add the fresh broccoli florets. 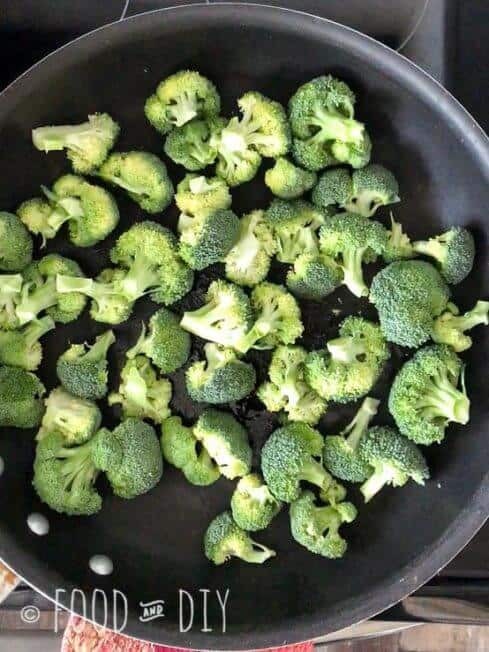 It’s best if you can cover the broccoli so it can steam a bit. 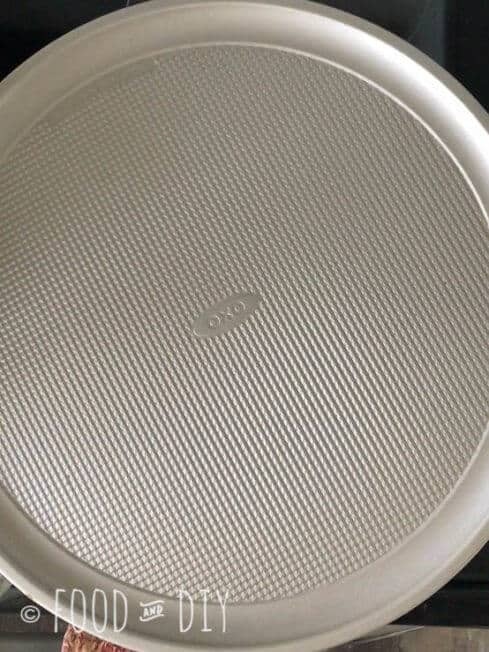 I have to use a pizza pan to cover my skillet because it’s so large I can’t find a lid for it and it didn’t come with one. 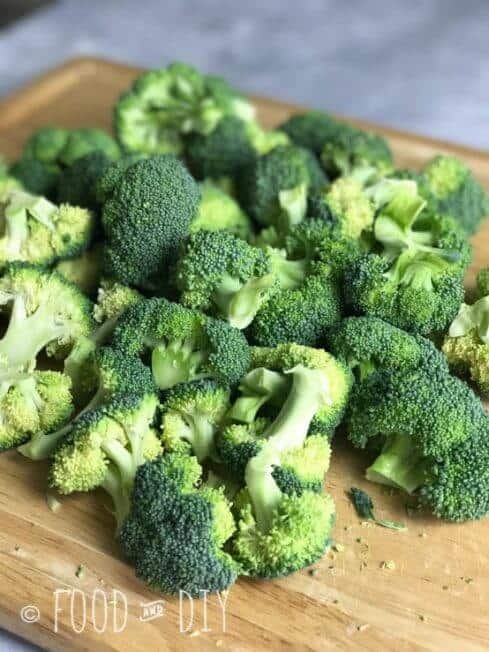 The broccoli will start getting lighter in color as it cooks. Toss them around often so they will cook evenly. Once the broccoli is cooked (tender, yet crisp), pour in 2 jars of alfredo sauce. To get all the sauce out of the jars, pour all of it you can into the skillet with the broccoli, then add a bit of water to the jars, shake it up and pour it in. I fill the jars up about 1/4-1/3 of the way with water. Next, drain the tortellini well and add it all to the skillet. Voila! Serve with garlic bread or alone! Enjoy! What is your favorite pasta? Tell me in the comments below ↓. This dish is delicious and easy to prepare. It's also a hit with the entire family, even my meat loving husband. Cut broccoli into small evenly sized pieces. Heat 1 tbsp olive oil in a large skillet on medium heat. 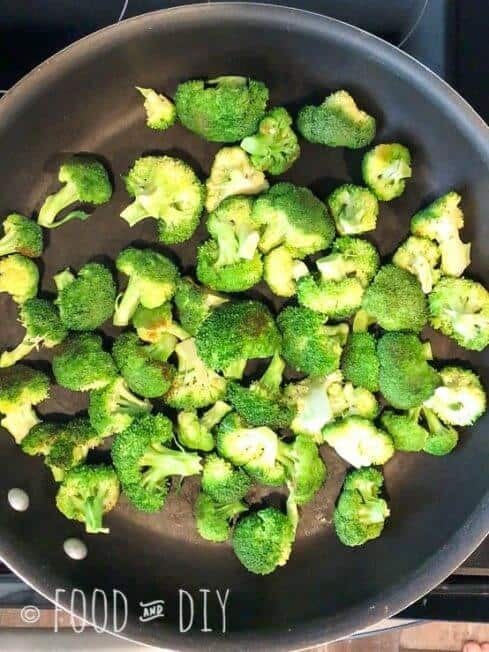 Add broccoli to skillet, toss, cover so they can steam a bit. Boil water for the tortellini, cook the tortellini according to package directions. Drain the tortellini well, add to the skillet, heat through. 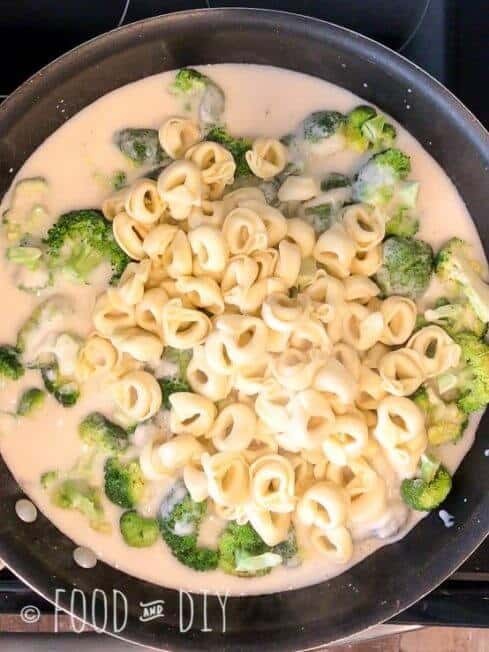 After pouring all you can of the alfredo sauce, fill the jars 1/4-1/3 with water, shake to get the rest of the sauce off the sides, pour into the skillet. Brocolli, cheese and pasta is always a winner for me. This looks absolutely gorgeous. I could eat a huge bowlful. Thank you!!! I wish I had a huge bowlful right now! A very healthy and tasty combination indeed. Perfect to serve for kids. Am saving this recipe and will try this soon. Yea! I hope you love it as much as we do! 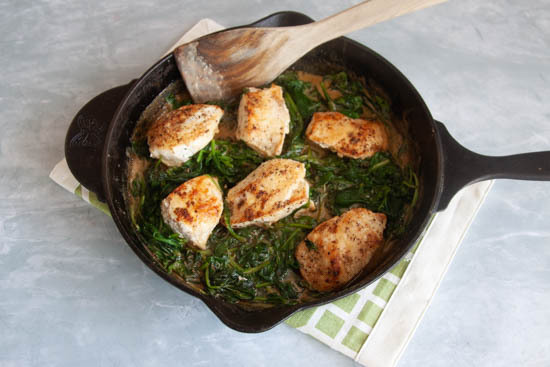 This is such a great quick and easy weeknight dinner! 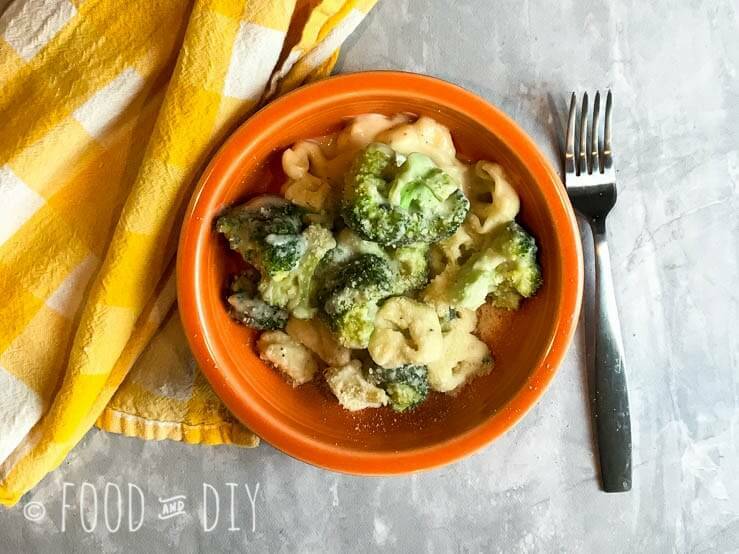 I love that you added broccoli in there as well – you can’t go wrong with broccoli and cheese! 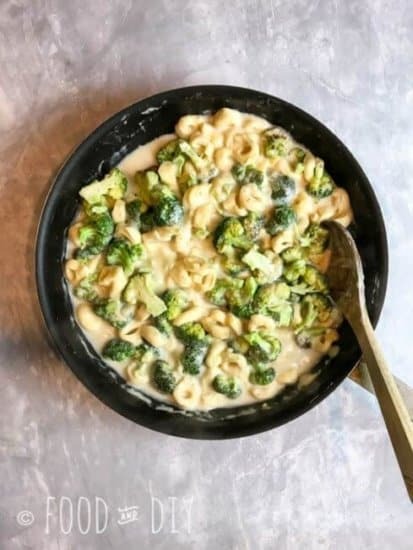 I love all thing broccoli + alfredo! Trying the combo with tortellini will be a new treat! Love the combo of pasta amd broccoli. This looks so delicious. PINNED! That looks like a wonderful combination! So easy, too – always helps on a weeknight… Broccoli is especially good with a creamy sauce like that. Thanks!! It is SO good! This dish is something that my kids would love to eat. Broccoli and tortellini in creamy sauce? yes please! Oh yes! My kids love it! 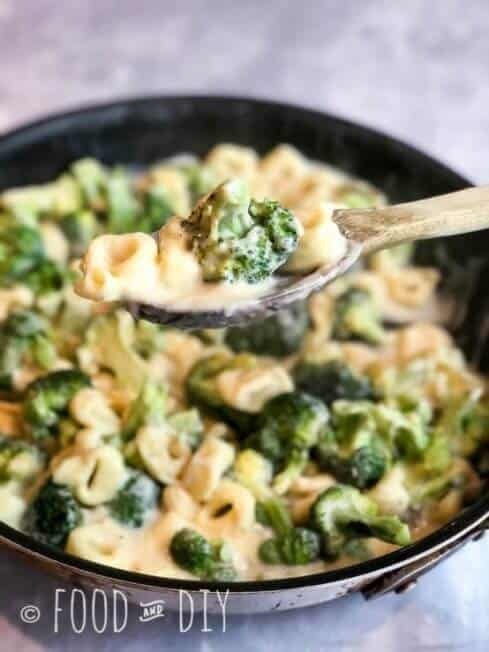 The combination of broccoli and pasta has always been a favorite of mine – love that it’s alfredo, too! Broccoli does always seem to go well with pasta! Yes! This would be great on a chilly day! Such a simple and easy dinner that everyone will love!! And I’d add mushrooms to this dish in a heartbeat! My daughter loves alfredo too! I appreciate a simple dinner! Awesome! If you try it out I hope you love it! What a great “meatless” pasta dish. That creamy sauce is always so good. Broccoli and pasta are a great combination. Thanks!! It is so delicious and a family fave! I agree with you, I think broccoli is also my favorite veggie!